The hunt for the missing R2-D2 Droid 2 plans came to an end yesterday and today after the last 2 sections were unlocked. 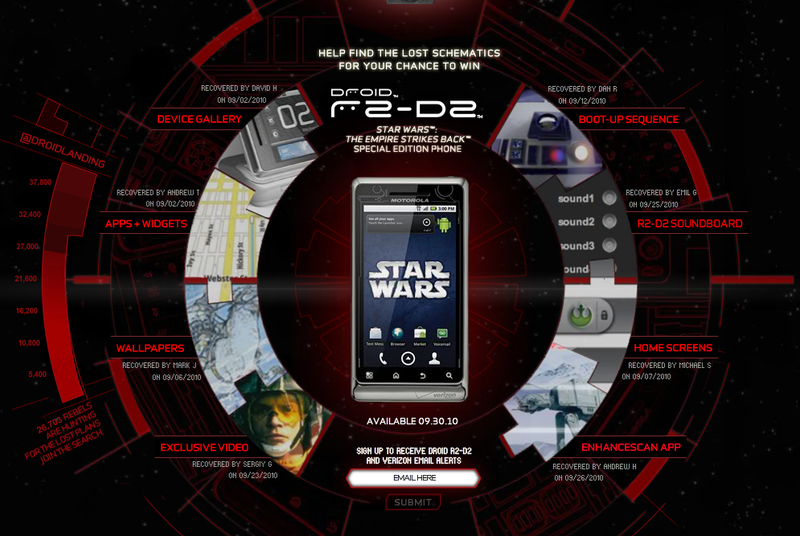 You can now head over to droiddoes.com/r2d2 and check out all of the exclusive content this special edition D2 has to offer. Well, some of it you’ve already seen from us like the live wallpapers, static wallpapers, and boot animation, but there are still a few hidden gems that might surprise you. The device officially launches this Thursday for $249 on contract at a select number of stores around the country. We’ll be in attendance at the Portland party! Feel free to check out the rest of the list for the west side of the US.